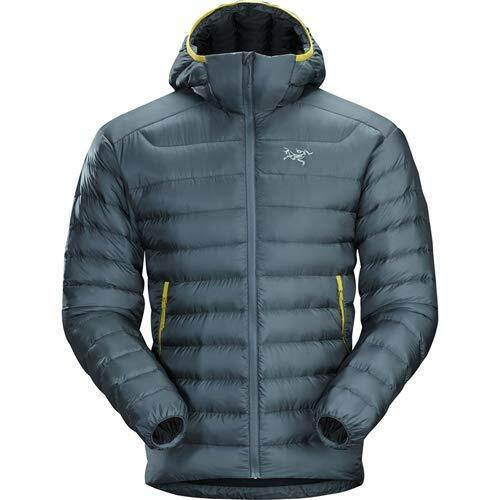 » Arcteryx Thorium vs Cerium Jackets – Find a Great Winter Jacket! 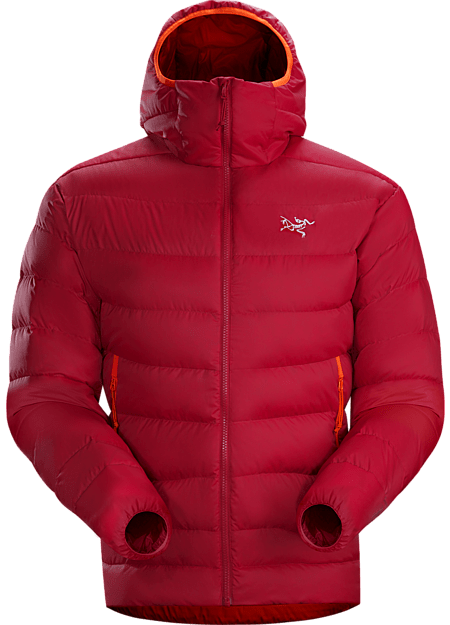 Arcteryx Thorium vs Cerium Jackets – Find a Great Winter Jacket! Finding a great winter jacket is something that I have literally searched for succeeded, and failed at year after year. One of the things that constantly kept me trying new jackets is that I had yet to find to one that was everything that I was looking for. Thankfully, I was lucky enough to find Arc’teryx. I have loved this brand for a considerable amount of time now. From the first time that I purchased an Arc’teryx jacket, I knew that my opinions of jackets were about to change. There were just so many great things to enjoy with these. From being high in quality and lasting for a considerable amount of time. You never have to worry about your Arc’teryx jacket wearing out or lacking in quality. So, when I was looking at the Arc’teryx Thorium and the Arc’teryx Cerium jackets there were some things that I instantly noticed were different. However, there were also some differences that I had not noticed until I had worn them for some time. Would you recommend the Arc’teryx Thorium or the Arc’teryx Cerium? What is your favorite feature of the Arc’teryx Thorium? What is your favorite feature of the Arc’teryx Cerium? Which jacket keeps you warmer? The Arc’teryx Thorium or Arc’teryx Cerium. Which jacket do you find yourself honestly wearing more, the Arc’teryx Cerium and the Arc’teryx Thorium? Arc’teryx says that they were “founded on the idea that there is always a better way.” The Arc’teryx brand looked at the Canadian spirit. The company was built with being able to create the right gear in mind. This means that the gear has all been built with the conditions of Canada in mind, which means that you are getting gear that has been specifically created for the outdoor conditions that you might find yourself in. One of the things that are completely unique to Arc’teryx is that they actually have a full engineering lab in their design center. This allows them to explore the latest in innovations and designs in house. This cuts down on the expense of engineering and allows them to have more available. They have everything housed in one space: a full industrial shop, a down room, washing machine, color tests, tools to make and break jackets, and manufacturing tools. You always get a beautiful high-quality product and you get an efficient process. Sometimes the manufacturing process for one item takes three years or longer, so you know that you are getting the best deal. In addition, the design facility is located very close to the manufacturing facility. This is just a short drive. This link allows for innovative techniques in manufacturing. There is one main partnership that Arc’teryx feels is the best for their processes and for being able to have such luck with their innovative designs. They credit W.L. Gore with helping them to create the best possible products for the outdoors. The company promises to use responsible sourcing in an effort to make a smaller environmental impact. Arc’teryx actually credits the Thorium as being the most durable of their jackets. They claim that the jackets are the most durable because they have been designed by so much. This jacket is perhaps the most famous Arc’teryx jacket that you can find. It is a jacket that is meant to last a long time and one that is a great investment if you are looking to buy one jacket to last for many years. Some people will state that they think that the Arc’teryx Thorium is too expensive. To them, I would challenge them to see how long other jackets last and when they add that up, they are likely to find out that the Arc’teryx Thorium was really the best jacket to buy all along. To be honest, I can’t name how many other brands of jackets that I have only had for one year when I could have just paid a little more, bought one of these and had it last for many years. In the end, I would have saved quite a bit of money. There are so many things to love about the Arc’teryx Thorium that at first, I was unsure of where to start. However, when I thought about the things that I would want to know before I purchased a jacket, it made it easier to pinpoint exactly what I think that each of you would like to know. One of the things that make the Arc’teryx Thorium unique is the type of fabric that is used on the coat. The Thorium actually utilizes the Arato 30 fabric which is a tightly woven taffeta. It is made with the finest quality denier fabric. This fabric is really the best for being able to offer the protection that you desire. One of the things that it really does a great job of is making sure that none of the down within the coat is lost. You will find out that the down filling is tight and well packed and that it does not escape from the jacket. This is actually something that helps to make the jacket last longer and will show just how durable it is. If you have ever owned a down jacket in the past, then you can certainly appreciate that you never have those embarrassing little feathers floating around you. Another thing that is great about the Arc’teryx Thorium is that it is a very soft and smooth fabric. It is a great choice for layering because it does not bunch up or get in the way. In addition, the fabric is actually torn resistant. This means that you are not going to have worry about getting a tear or snag in your coat if you are being active. If you have bought an Arc’teryx jacket before, then you are probably familiar with the DWR finish on the fabrics. If you are not familiar, I will try to quickly explain just how this amazing little feature works. Basically, the DWR is a coating that is put on the fabric when they finish the coat. This special finish keeps the water out of your jacket. In fact, it does not allow water to sit on the jacket. The water kind of beads up and just falls off. In addition, the water is never absorbed into the fabric. This means that you do not have to worry about water absorbing into the jacket. The water is basically just going to slide off of the jacket so you stay warm and dry regardless of what is happening with the weather. Of course, you are probably wondering if the Arc’teryx is going to be able to keep you warm enough. This is something that you will not have to worry about either. You are not going to get cold when you are wearing this jacket. The Thorium actually features two different types of insulation. One of these is a 750 fill down and the jacket is made with high-quality goose down. The other type of insulation is the Coreloft synthetic insulation. This insulation is 100% man-made and not natural. It is going to keep you warm. Now, what you should know about this is that this is the standard way in which an Arc’teryx Thorium garment is made. This applies to the jackets and to the other products from this same line. They all have dual insulation. The reason for this is that down areas are typically prone to moisture. To note the special Coreloft synthetic insulation is a special type of insulation fill. It is found in certain areas of the jacket that are more prone to moisture. This would include the hood brim, the area under the arms, and around the cuffs. So, you are going to get the top level protection from the elements with this jacket and its features. There are some additional features that I would not feel right about not mentioning in the review. One of the first things that I would like to mention is that although the Arc’teryx Thorium has been on the market for a while, I found the reviews that I could find online to be lacking before I made the purchase. There were some things that the company did not like about the original design and those have been updated and improved. They were minor changes so there is no real difference between the jacket that you would have purchased when it first came out and this one. In addition to these improved features from the previous design, there have been other small changes that have only been introduced to try and enhance the user’s options when wearing the Thorium jacket. One of the things that were added this year was an interior pocket that zips. This is one of my personal favorite additions. In fact, after having this jacket and a few others with these interior zipping pockets, I have decided that I would not do without them again. I would choose to have a nice interior pocket over several other features that I thought I needed because this is a feature that actually gets used on a regular basis. I love that I have protection for things that I do not want getting wet, lost, or stolen when I am on the slopes. I typically stash my key fob and my phone in this pocket for safekeeping and easy access. In addition, there was an additional chest pocket. This provides you with extra storage and I found this to be a great place to store some of my ski items when I was in the lodge or taking a break from the slopes. There are additional hand pockets which are nice if you keep your front pockets zipped with extra gloves like I like to. Then there is this ingenious hood sack in the pocket. This is something that you could easily mistake as a part of the lining or something else, but the main purpose is to have a sack to put your hood in if you are not going to be wearing it. Plus, it allows for you to have your hood on you in case conditions change and you wish that you had not taken your hood off. The Arc’teryx Thorium jacket is very warm and provides a great level of warmth for the space that it takes up. This jacket is very durable and can take a beating when you are on the slopes or even if you work outdoors. The Arc’teryx Thorium functions well but does not take away from the style. It is a very stylish jacket that follows many of the current outerwear trends. The insulation is made from an innovative combination of synthetic and natural materials. This jacket not only works well in cool and dry conditions but is also a great choice in cold wet conditions. Overall, this jacket is one that I really liked and one that I am sure I will go back to time and time again when I am trying to stay warm. 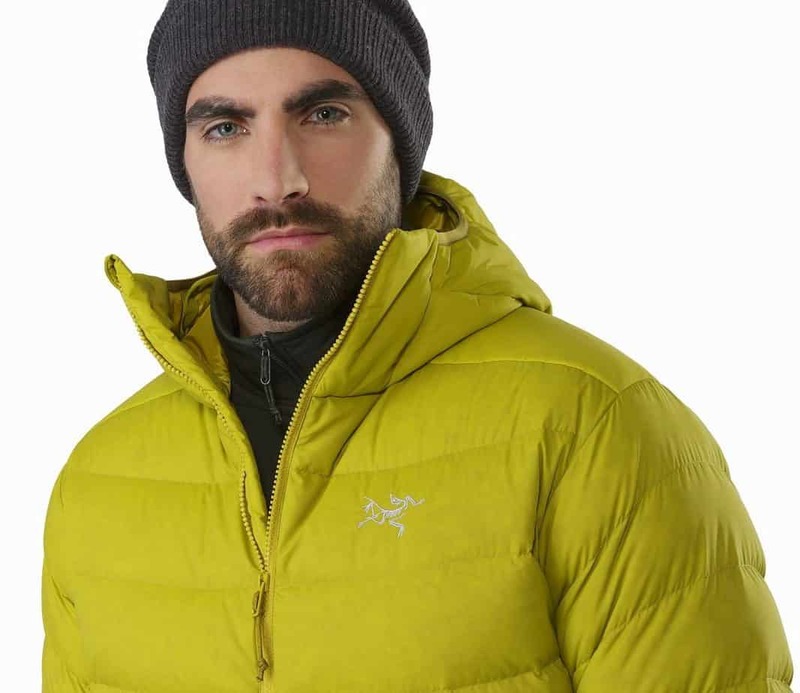 The Arc’teryx is not vegan as it uses goose down. The Arc’teryx Thorium is expensive and costs more than $400 (Check out the latest rates here!). The Arc’teryx Thorium is a bulkier jacket and does not work as well for all conditions and situations as a more versatile jacket would. This jacket is really heavy too. While it can be packed and thrown into a backpack, the packed size is rather large and it really is a jacket that adds some weight to your bags. The Arc’teryx Thorium has been constructed with top quality materials and practices. It is also well designed and is going to definitely last you for years to come. It is a more expensive jacket and one that you are going to be able to frequently wear and get years of wear out of. While it is going to cost you more eventually, with continued wear you will find that this is really good value overall. I have found that since I got this jacket, I continue to reach for it because of the high level of performance. This jacket works great when you are traveling in cold weather, commuting in the fall and winter, or even if you are a climber and looking for something to keep you warm while you are on the side of a mountain. The Arc’teryx Thorium works for you and is a jacket that we really think that you will love as much as I did. The Arc’teryx Cerium is a second jacket from Arc’teryx that we decided to check out. This jacket is another high-quality product that we were impressed with. We loved that it was very light but still kept us warm while being stylish and something that we actually wanted to wear. This jacket is also packable. It actually folds really small and can be packed into a very small bag. This is something that you can literally throw into your luggage or even into a backpack when you are traveling. This makes the jacket completely portable and easy to take with you. The fit of the jacket is also impressive. This is because you will find that it has that perfect snug fit that you want from a jacket. It makes you feel as though the jacket has been tailored to fit your body specifically even though it has not. This was really important for me to mention because I have tried a lot of jackets out over the years. That being said, there are really not many jackets that feature a sleek and tailored fit and certainly, none that I can think of that do it better than the Arc’teryx Cerium. One of the final things that really impressed me about this jacket is that it is versatile. You can wear this jacket alone. You can also wear it as an outer layer over a fleece inner layer. Plus you can wear it under a shell as a mid-weight layer to keep you warm. This versatility works well if you are an avid traveler or someone who is in a multitude of different climates and conditions. This is something that I have not seen in other jackets, where it can be used as an outer or inner layer without being bulky and ill-fitting. This jacket is never going to loosen or become ill-fitting no matter what you are doing while wearing it. Of course, all of these features are not free and the innovation and design that goes into a jacket like this make it more expensive. You will need to remember this when you are looking at the price tag as it is a more pricey jacket than some of the others that we have talked about. However, even with the high price, the Arc’teryx Cerium is really a nice jacket that offers maximum performance in a high-quality package. Like with the Arc’teryx Thorium, I want to share more information with you about all of the features that have impressed me with the Arc’teryx Cerium. This way, you can read about the things that you are looking for and determine if this is the best jacket to personally meet the needs that you have. One of the first things that you will notice about the Arc’teryx Cerium is that the materials that are used seem to be the highest quality products. In addition, the use of certain fabrics helps to streamline the jacket and make it better for those who want to be able to stay warm in a jacket that does not look like it would pack the heat. This jacket is made to work well in conditions that are cool and dry. It is not the type of jacket that you would want to wear in very cold conditions or in conditions that are wet. However, you could layer this under a shell to keep warm if you wanted something else to stay dry. 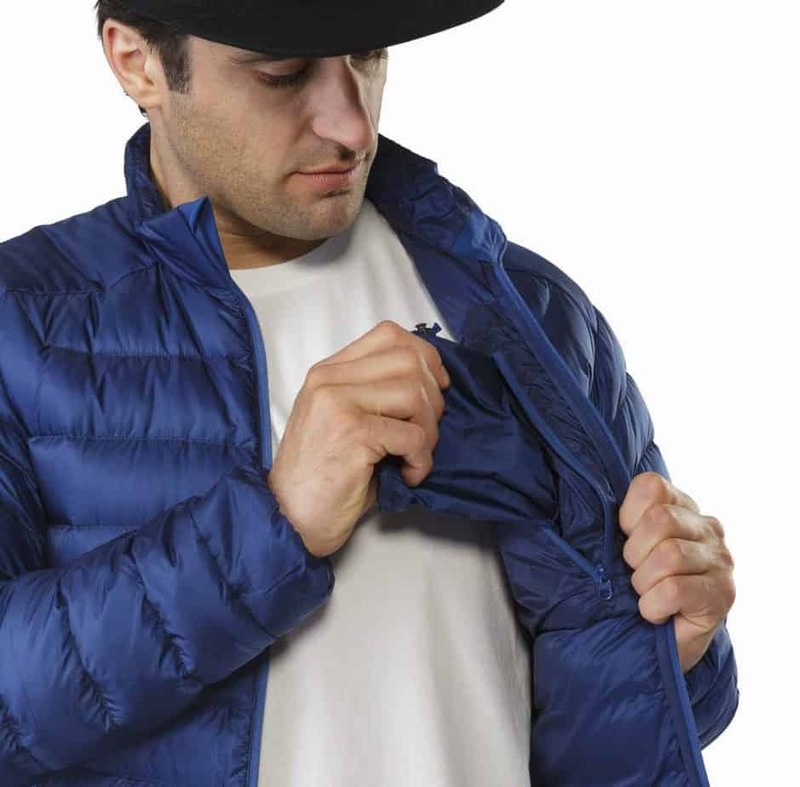 This jacket features the premium 850 fill power down. This is a special type of down fill that is packable while being more resistant than other down fills. In addition, the Arc’teryx Ceriumfeatures an Arato 10 nylon shell. This special nylon is very lightweight and durable. It also utilizes a special Down Composite Mapping that helps to place the Coreloft synthetic insulation into areas that are more likely to have moisture in order to attempt to keep you dry. This construction works well and moves with the body and the insulation in the StormHood provides additional coverage while allowing you to see as it is not going to impact your vision. 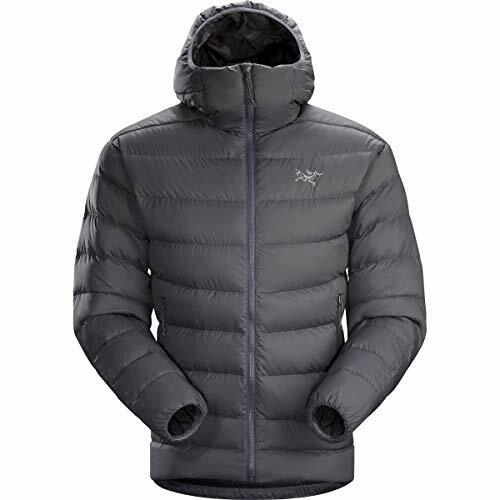 The Arc’teryx Cerium has all of the features that are meant to keep you warm. The hood is filled with high loft down and that same high loft down is sewn into the jacket. It is in the compartments throughout the jacket including the back and the neck. This special technology that is used to determine the fill is called the Arc’teryx Down Composite Mapping. This basically looks at all of the panels and special places where you could be cold and looks to ensure that the Coreloft synthetic insulation will keep you warm. The biggest thing about this is that it actually pays attention to areas where you are usually high in heat and adds extra insulation and special features to these areas to ensure that you are able to easily stay warm. Two of these areas are the neck and shoulders. Both the neck and shoulders are areas that are often overlooked with traditional jackets and are areas where you might traditionally get cold. This is important so that you can ensure that you stay warm while wearing this jacket. 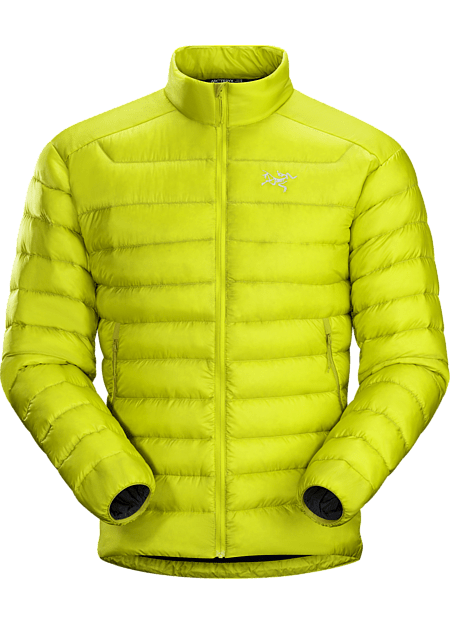 One thing that you might note is that this jacket is very thin and you might wonder just how the Arc’teryx Cerium is able to keep you so warm in such a thin package. However, it has a lot to do with the down fill and the fact that it is 850 down fill which is significantly denser than other fills that are popular today. You will remain warm and toasty when you are wearing this jacket. There are many other features that you should know about the Arc’teryx Cerium that will help you when you are determining what jacket is right for you. One of these is to consider the water resistance that is offered in the jacket. The fabric that is on the Arc’teryx Cerium goes through Arc’teryx’s DWR treatment. This is a special treatment that helps to make the fabric water resistant. With that being said, the jacket is not as water resistant as others that are out there and some of the water becomes absorbed when you wear this jacket in the rain or in other wet conditions. The areas where I noticed water absorbing the most were around the zipper in the front and on the shoulders. With prolonged exposure to the rain, my shirt was wet underneath this jacket in these two areas. However, while these areas were wet, there were many others that were not. The compact nature of this jacket is also a feature that I would like to talk about. It is something that drew me to the Arc’teryx Cerium. In fact, it is the one feature that I was sure that I would love the most. It is hard to find a good winter jacket that actually keeps you warm that is compact, but this one did the job for me. The Coreloft synthetic material and the 850 goose down fill pack quite nicely and are much smaller than you would have probably guessed. I was shocked at how small they could become. Another feature that I felt was unique with the Arc’teryx Cerium is the fit. This jacket does not fit like any other down jacket that I have ever owned or tried on. In fact, it is a jacket that is loose enough to allow for movement without being uncomfortable. It is a jacket that is streamlined and not baggy which is nice when you are trying to move around freely. This jacket fit exactly how I wanted it to every single time, whether it was worn alone, under a shell, or even over the top of fleece, it fit and was comfortable for me. Finally, to mention to those small details that make the Arc’teryx Cerium special. One of these is that the jacket actually has two zippered pockets that stay considerably warm. This means that you can use these as hand warmers. There is a single pocket at the chest level as well, but for now, there are no internal stash pockets to consider. The hood is secure and actually has a single drawcord which makes tightening it simple when you are on the move. It also makes it great for being able to ensure that your hood is not going to move during activity. This is something that I personally love when I am skiing and wanting to have protection without having my vision affected. Plus, I never have to worry about how I am going to stay warm. This jacket is very warm for the size and decently warm when compared to other jackets that might be a little bit thicker or bulkier. The Arc’teryx Cerium fits like a glove and is the single best-fitting down jacket that I have owned to date. The Arc’teryx Cerium is super light. 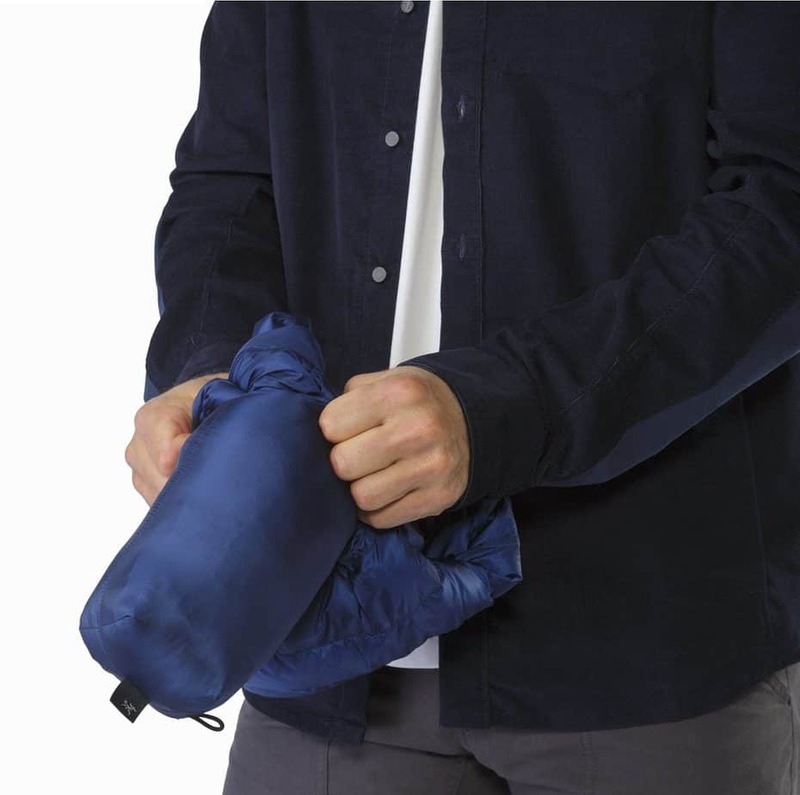 The jacket is packable and folds down to one of the smallest sizes that I have seen for a packable down jacket. The Arc’teryx Cerium is not completely waterproof and it does get some moisture when you are out in the rain. This jacket is expensive and is just under $400 (Check out the latest rates here!). The drawcord on the hood was not as functional as some of the drawcords on other hoods that I have tested. The Arc’teryx Cerium jacket is a jacket that you will love wearing. The fit is incredible and it never makes you feel bulky, even when it is being worn over a fleece. In addition, it is lightweight and allows you to be easily mobile while still keeping you very warm. The jacket is well designed and offers a lot of special features for those searching for a jacket that has the perfect fit, but it is not the right jacket for you if you live in a climate that sees a lot of precipitation downfall. My personal recommendation would be for the Arc’teryx Thorium because it offers a little bit more. However, I do not think that Cerium is a bad jacket. I just live in an area where I see some rain and even if I did not, I would want a jacket that could perform in the rain when traveling. My favorite feature of the Arc’teryx Thorium is that it is completely waterproof. This was great when I was skiing and when I have been stuck in raining or snowing weather. I have been very happy with the fact that my clothes were never wet underneath when I was wearing the Thorium, even if there was no additional layer on with this jacket. My favorite feature of the Arc’teryx Cerium is the fit. It fits so well!. For me, I was warm in both jackets. Ultimately the Thorium keeps you warmer because of the advanced waterproofing that keeps you dry. However, if you live in an area that is never snowing or raining then the Cerium would keep you just as warm and in a better-fitted jacket. I find that I almost always reach for the Thorium unless I am going to something where I want the superior fit and I know that we are not going to get rained or snowed on. When you are looking at the Arc’teryx Thorium and the Arc’teryx Cerium and trying to compare the two there are a few things that you will want to know. First off, the Thorium has recently gone through some changes that make it a little more convenient to wear. 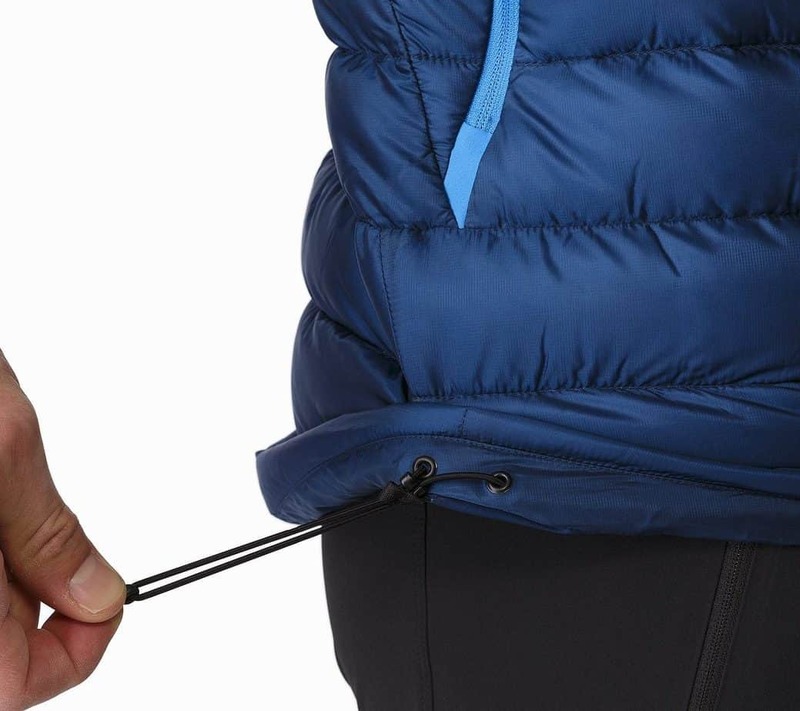 The larger zippers that are great for using one handed and perfect about never snagging is one of the new innovations from Arc’teryx that I was disappointed was not offered on all of their jackets. Additionally, the hand pockets on the Thorium are superior because they are larger and easier to get into than the hand pockets on the Cerium. However, the Thorium does feature a zipper pocket which is more likely to land with you getting stuck on the zipper than with the Cerium that does not have a zipper. That being said, the zipper is great for being able to protect valuable things. I like that the sleeves on the Thorium were a bit longer as I have long arms and they helped to keep my wrist warm. Plus, the shoulders were never tight. I should note that the shorter wrists on the Cerium were a bit annoying, but their shoulders fit well without ever feeling too big or bulky. The Arc’teryx Cerium was definitely a better fit. In fact, this featured the best fit that I have ever had in a jacket. It was easy to wear and very comfortable as I was moving. The Thorium was also comfortable when moving but it was not as nice of a fit overall so I was not as comfortable as when I was wearing the Cerium. The Cerium had a unique fit that ensured that I was comfortable while wearing the jacket. Determining which of these jackets is better was actually a challenge with their high points being so different. Each jacket is a good jacket with its own purpose in mind. However, you have to decide like I did, which of these jackets is going to take you further and which is going to ultimately offer you more for your money. One thing to note is that the Arc’teryx Thorium is about $50 more expensive than the Arc’teryx Cerium. Only the Cerium is under the $400 price point. I honestly love that I am fortunate enough to own both of these jackets because I do wear them both and grab them out of my closet depending on the conditions. If I could only buy one, I would choose the Arc’teryx Thorium because of the fact that it is waterproof. Arc’teryx is always killing it when it comes to providing extremely high-quality outdoor wear and these jackets are definitely no exception! Do you own anything from Arc’teryx? If so, what is it? We’d love to hear from you!